Start off in a basic lunge pose and then jump up into the air. 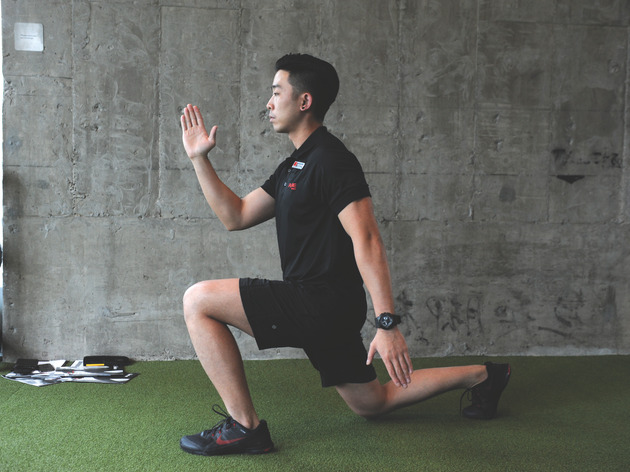 Switch your feet so you end up in a lunge with the opposite foot in front of you. Keep a steady rhythm going and do as many as you can, switching from your left to right foot. 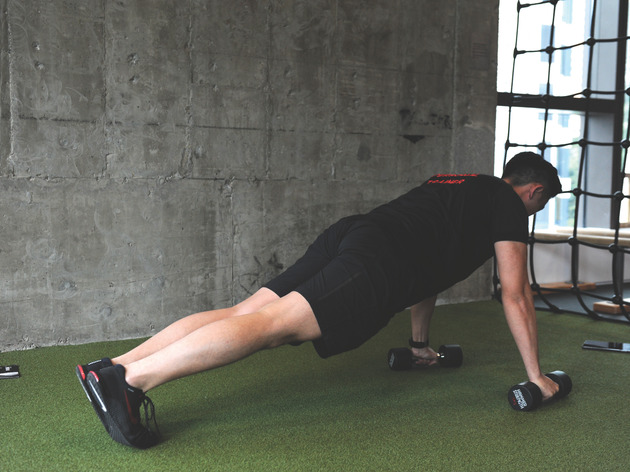 Start off in a plank position with dumbbells in each hand. 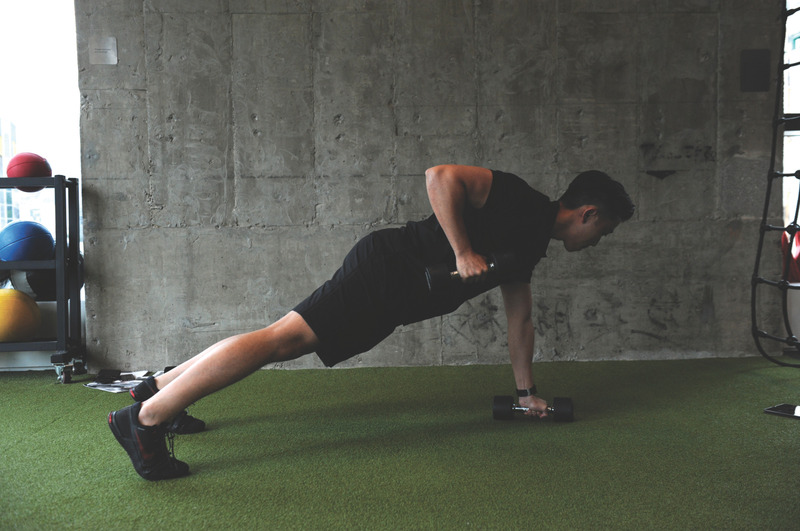 One by one, lift each dumbbell to your chest and then back down, all the while keeping your form. Stand straight with your feet a shoulder length apart. 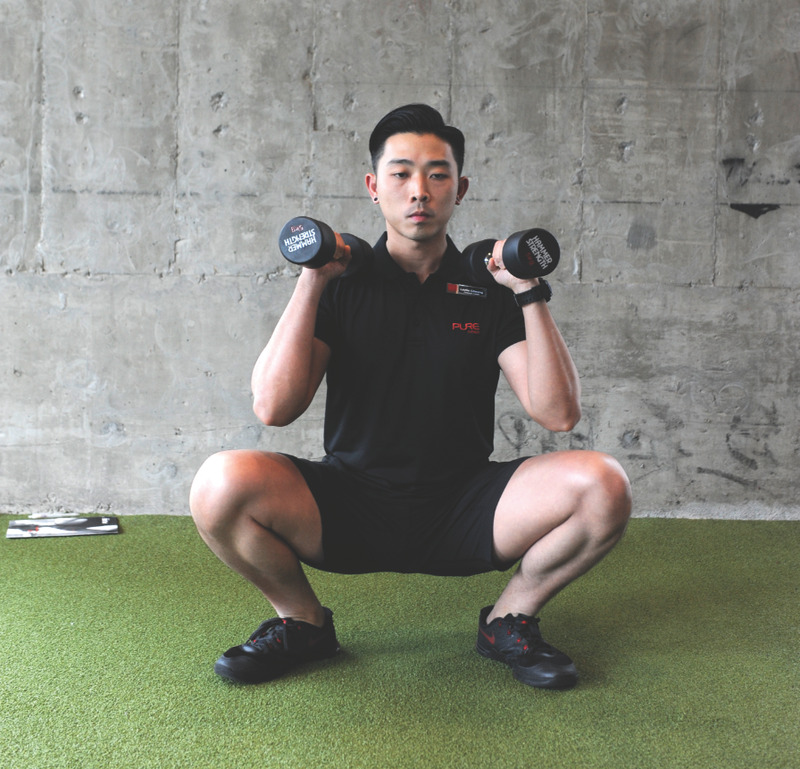 Hold the dumbbells by your shoulders and then squat down. As you stand up, thrust the dumbbells up, ending with your arms straight in the air. Repeat. 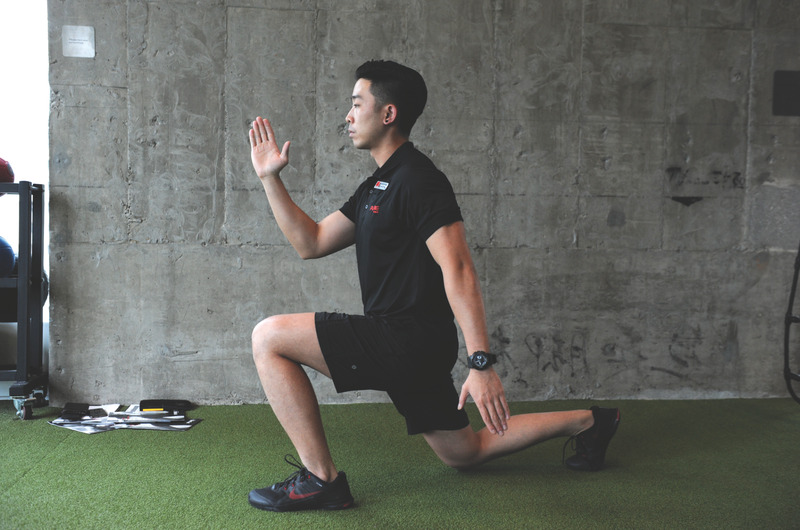 With your lower back flat on the ground, bend your knees with your feet flat on the floor. 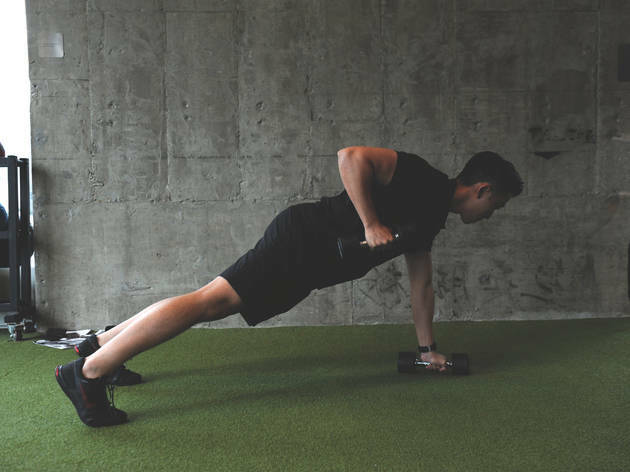 Tuck your chin in as you move up and down, making sure to tighten your core as you go. Your hands can go behind your head with your elbows out to the side. 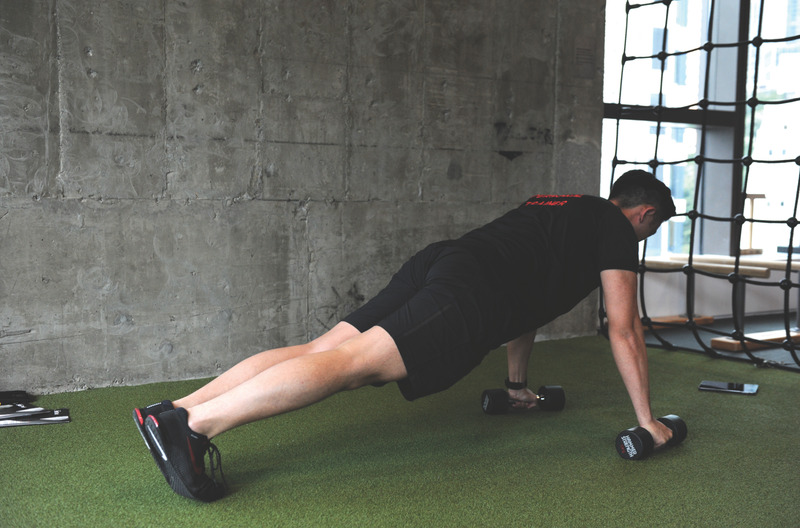 Start off in a plank position with the dumbbells under each hand. 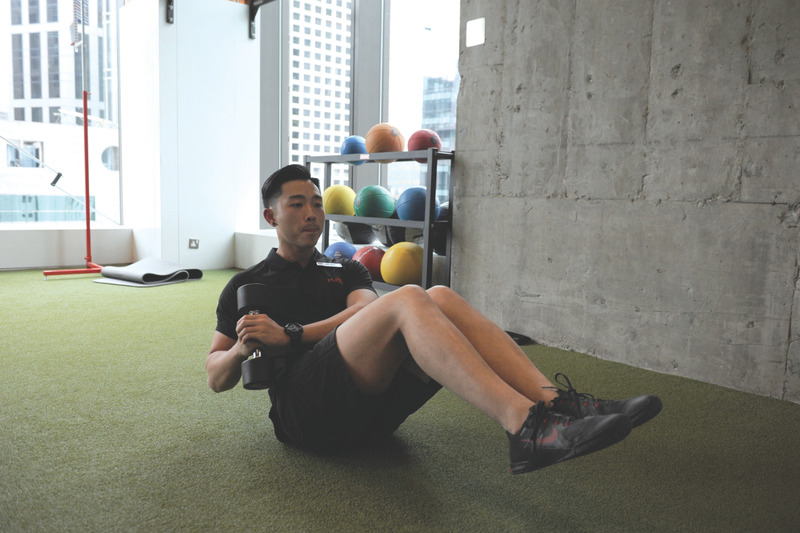 Keep your chest out and your core tight. Also keep your lower back flat. Watch your tempo as you lower yourself and raise yourself up. Sit down and bend your knees with your feet off the floor. 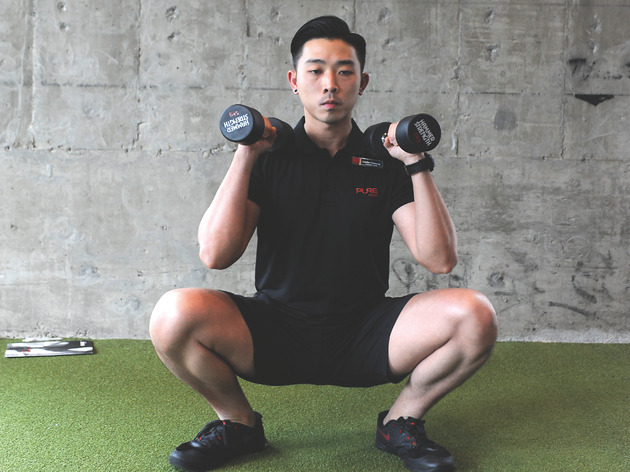 Hold the dumbbell with both hands and move it from side to side in a fluid motion. Hi Lezlie! 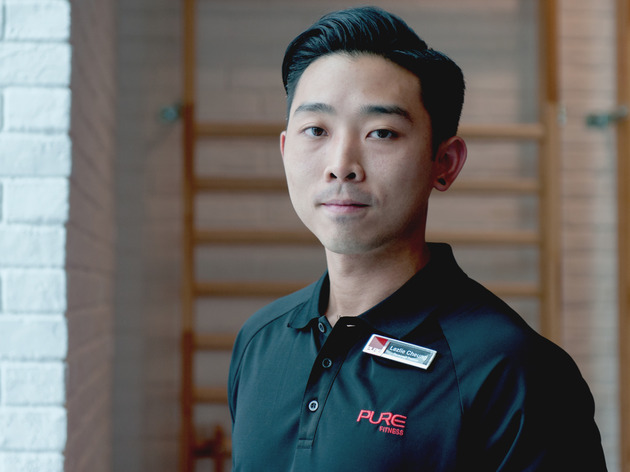 So, how did you get into personal training? I’ve always been into sports and Chinese martial arts since I was a kid. My interest evolved and now I’ve been personal training for around two years. 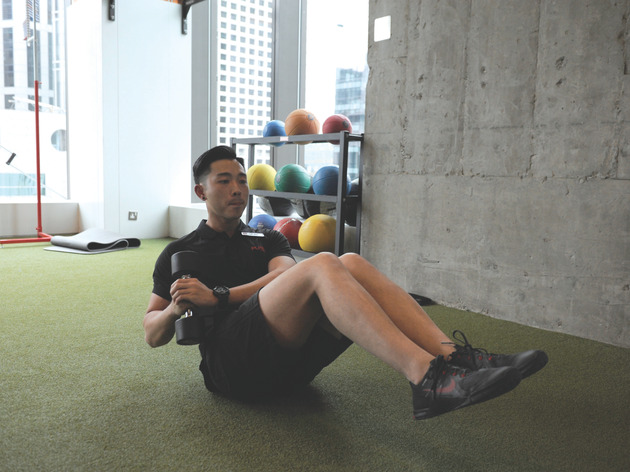 What are your tips for getting healthy and fit during the sweaty Hong Kong summer? It’s simple. Just stick to clean eating, getting lots of rest and training hard. Other than physical activities, how important is incorporating a healthy lifestyle into your daily routine? Your diet is the most important part. Without a proper diet, no matter how hard you train, you may not see good results. Clean eating includes a lot of fresh fruit and vegetables, as well as a diet high in protein. Lean meats like chicken breast and lean beef are also good for you, as is eating less carbohydrates. Rest is also important! Do you think it’s wise for beginners to have the assistance of a trainer? I think, in the beginning, it’s a good idea to get a personal trainer or join some group classes. Learning proper form for exercises is important so you can engage the proper muscle groups and not injure yourself. 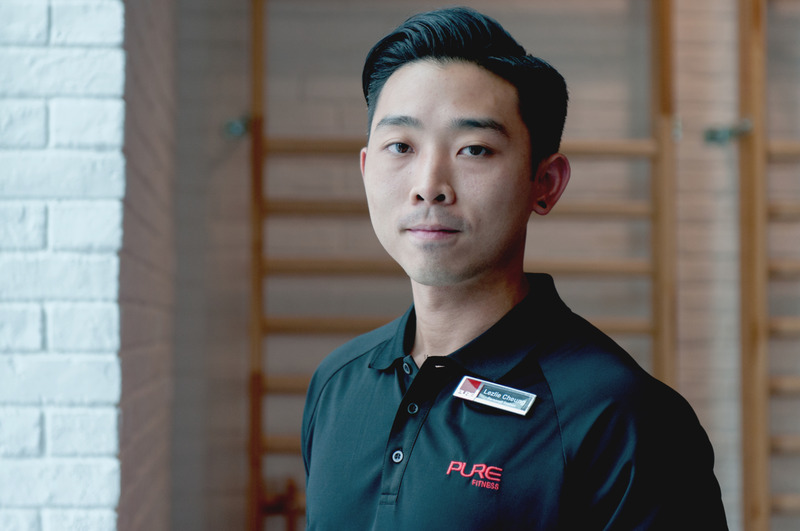 Pure Fitness 18/F, California Tower, 32 D’Aguilar St, Central, 8200 0032; pure-fitness.com.